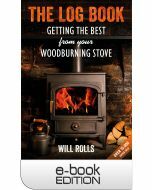 An easy to read guide on absolutely everything you need to know about a woodburning stove, from finding the fuel and seasoning it, to lighting the stove and operating it cleanly, this book describes the best techniques for looking after your log stove. Using a woodburning stove effectively is both an art and a science. In this friendly, comprehensive guide, chartered forester and woodfuel expert Will Rolls talks the reader through the theory and practice of getting the best results from their stove. From finding the fuel and seasoning it, to lighting the stove and operating it cleanly, this book describes the best techniques for looking after your log stove. The Log Book also includes: flu temperature gauges, heat fans, stacking logs, vent burners and much more. "As a long-term woodburner owner I thought I'd learned all there was to know about them. 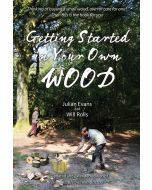 I was wrong, Will Roll's excellent book taught me much more about the fine art of burning wood and getting the most from our prized possession. Highly recommended."